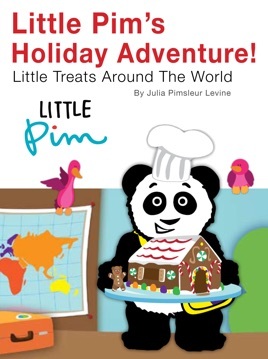 Join Little Pim the panda as he takes a holiday trip around the world to visit his friends in France, Brazil, Mexico, and China. On his journey Little Pim will sample traditional holiday treats, discover new holiday traditions, and learn words in French, Portuguese, Spanish, and Chinese. Our children love Little Pim and this book was a really great way to talk to them about holiday traditions around the world. The kid’s love the Panda and are always excited to see where he is going next. Great book! My kids love the panda and the story is so cute for the holiday.